When you look at a majestic natural landscape -- waterfalls, mountain ranges, vast deserts -- what do you feel? For many, the beauty of nature inspires a sense of awe, a powerful but understudied emotion that has important implications for our well-being. We tend to think of awe as a religious or spiritual experience, and such experiences have been documented and described in a number of texts in both Eastern and Western spiritual traditions. But awe isn't restricted to the realm of the mystical. Atheists and non-believers are also capable of experiencing awe, which can be invoked by things like nature, beauty, man-made wonders, or good will -- anything that takes us out of our usual mindset and allows us to experience a connection with something greater. In a NPR piece on atheism and awe, writer Barbara King argues that awe doesn't need to be inspired by invoking the sacred. "Atheist awe is mind- and heart-expanding," King writes. Though psychologists have studied virtually every human emotion, they have only recently begun to pay attention to the complicated and varied emotion of awe. In a foundational 2003 paper, "Approaching Awe, A Moral, Spiritual And Aesthetic Emotion," psychologists Dacher Keltner of UC Berkeley and Jonathan Haidt of New York University outlined how exactly awe works and what effect it has on us. Awe consists of two qualities, Keltner and Haidt say: perceived vastness (something we think to be greater than ourselves), and accommodation, a need to assimilate the experience of vastness into one's current mental structure. Keltner and Haidt describe awe as an emotion "in the upper reaches of pleasure and on the boundary of fear." It's an emotion that can have a tremendous impact. "Fleeting and rare, experiences of awe can change the course of a life in profound and permanent ways," they write. Here are 5 things you should know about awe, and how the emotion can boost your well-being and quality of life. 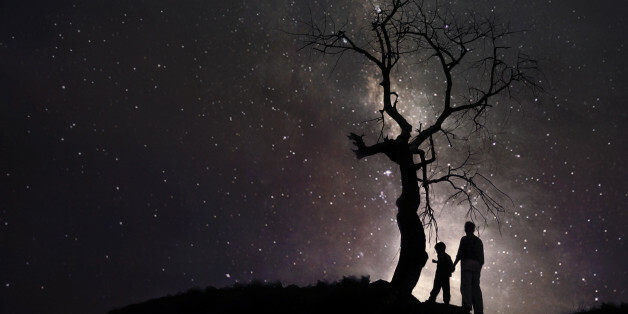 Experiencing awe can improve your relationship with time. Awe expands our perception of time, anchoring us in the present moment, a 2012 Stanford University study found. When people experience awe, they are more likely to feel that they're rich in time -- something all of us could probably stand to feel more of. In another study, the same researchers asked one group of subjects to write about a memory of an awe-inducing experience, while another group wrote about a memory of a happy experience. After writing about the awe, subjects reported an expanded sense of time, while those who wrote about happiness did not. Experiences of awe have inspired countless works of art, from landscape paintings to romantic poetry to spiritual memoirs. And science has shown that awe actually inspires creativity, helping us to think more flexibly and see things in a new light. A 2012 study from Tel Aviv University found that "expansive thinking" could lead to boosts in creativity. According to the study's lead researcher, "outward" rather than "inward"-focused thinking helped children to consider different perspectives and see beyond their present situation. In the study, one group of children was asked to look at a series of photos, beginning with local objects such as a pencil sitting on the desk in front of them, and progressing to vast or faraway things, like the Milky Way galaxy. The other group of children was showed the images in the opposite order, from expansive to immediate. The children in the group that progressed from local to expansive images performed significantly better on a test of creativity directly after looking at the images than the children who looked at nearby images last. Next time you need a quick fix to boost your creativity at work, try taking a look at some nature photography, or watch a short "Shots of Awe" video on YouTube to help you start thinking bigger. Awe can give us hope and help us to appreciate life. Particularly in our darker times, awe can give us a sense of hope and the ability to see the bigger picture of life, according to humanistic psychologist Kirk Schneider. "I believe in awe. The awesomeness of life, of being, is inexhaustible. No matter what we lose, fear, or despise, it is there. It is there at our darkest hour, in trial as in devastation, in life as in death; because it is beyond life and death, trial and devastation. It’s not that it is readily accessible, perceivable, or even conceivable; at our worst times, it is opaque. However, awe is available and that availability can be realized in an instant or a lifetime." Awe can connect us to nature. In nature, transcendentalist philosopher Ralph Waldo Emerson said, "currents of the Universal Being circulate through me." Spending time in nature has a number of health benefits -- including a calm and focused mind, lower stress levels, higher vitamin D levels, and health improvements resulting from physical activity -- and can also be one of the most surefire ways to inspire awe. Feelings of wonder and amazement are common responses to nature -- a powerful storm, a mountaintop vista, or a sweeping ocean can inspire us with a sense of the majesty of the world around us, and of just how small we are, in comparison, as individuals. Nature-inspired awe involves a "diminished self" and the "sensed presence of a higher power," according to Keltner and Haidt -- which, as we've seen, can contribute to well-being, creativity and happiness. But of course, cultivating an appreciation for and connection to nature can provide a sense of fulfillment and improve our quality of life. In 1964, psychologist Abraham Maslow formulated his famous theory of "peak experiences" -- instances of near-mystical rapture and wonder in the everyday. His description clearly involves an element of awe, and he suggests that "peak" experiences of awe can be transformative, and indeed, life-changing. By Maslow's description, peak experiences involve "disorientation in space and time, ego transcendence and self-forgetfulness; a perception that the world is good, beautiful and desirable." He believed that this change in perception -- a sort of epiphany -- could have transformational effects. Maslow emphasized that moments of transcendence could take the form of an intense religious or spiritual experience, but it could also come from the simplest moment of love, beauty or natural wonder. If nothing else, awe teaches us, as Maslow suggests, that there might be something just a little bit magical about everyday life -- a realization that can help us engage with life from a place of joy, wonder, and gratitude. "The great lesson from the true mystics," Maslow wrote in Religions, Values and Peak Experiences, "[is that] the sacred is in the ordinary, that it is to be found in one's daily life, in one's neighbors, friends, and family, in one's backyard."